Side of the oak chest of drawers. 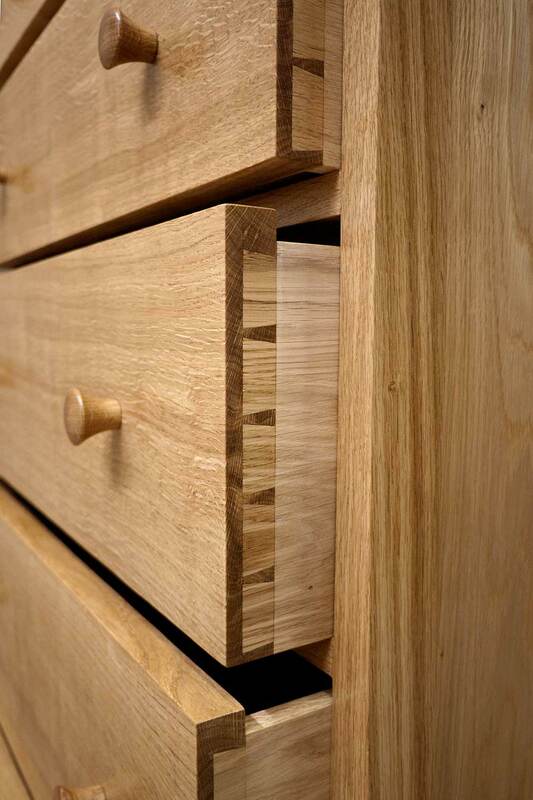 Close-up of handcut dovetail joints. 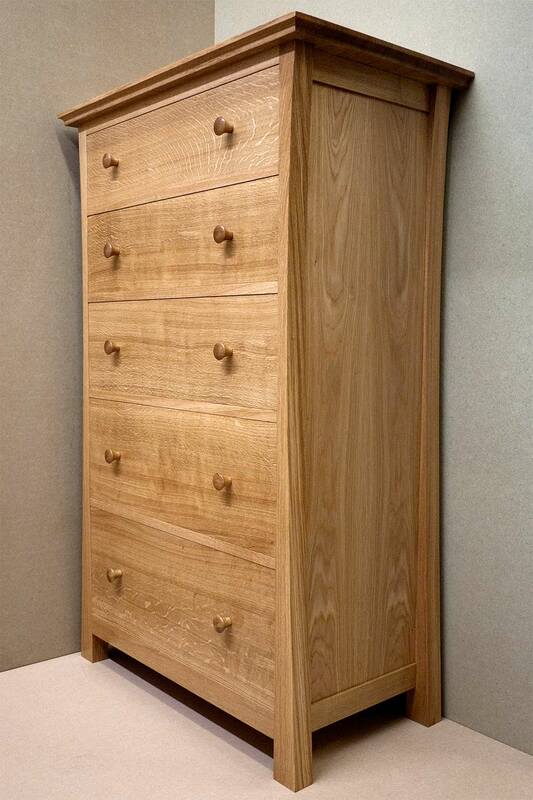 A stunning oak chest of drawers designed for a local customer. 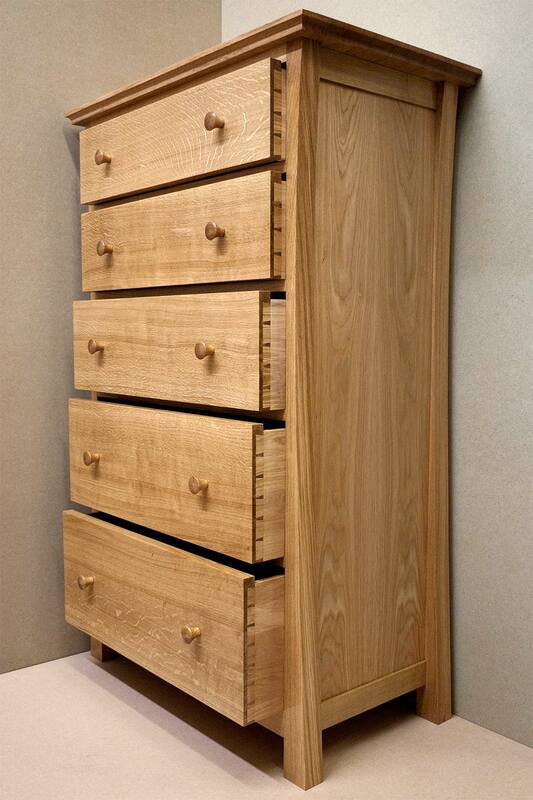 They wanted a set of drawers to fit a specific space in their bedroom. 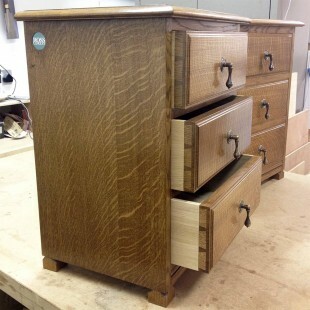 To keep the design clean we decided to use a single piece of quarter sawn oak for each drawer front as this is more stable then using cheaper, crown cut oak. 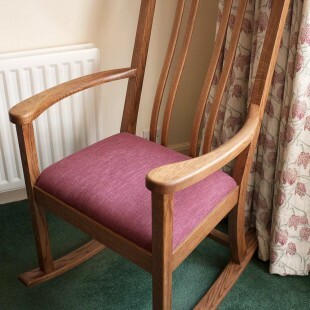 The process of quarter sawing timber is becoming increasingly rare. 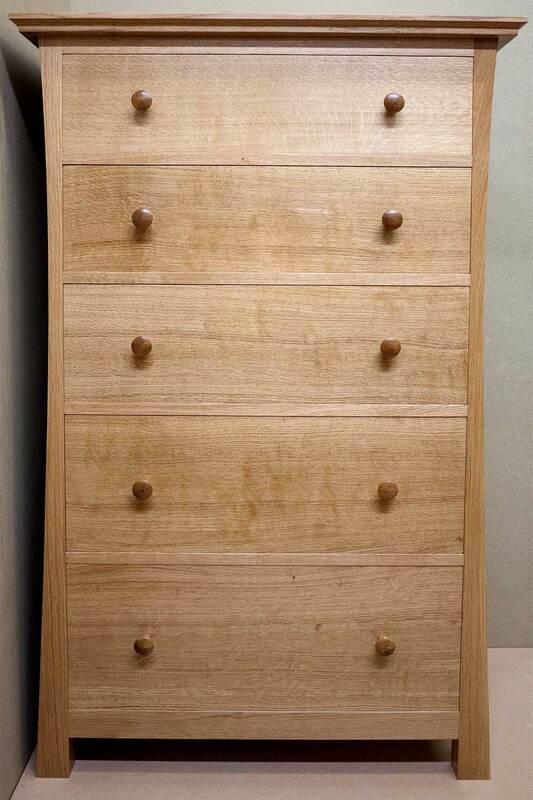 It produces slightly more waste than normal timber cutting, as well as being more labour intensive for the saw mill but producing a much more stable wood. 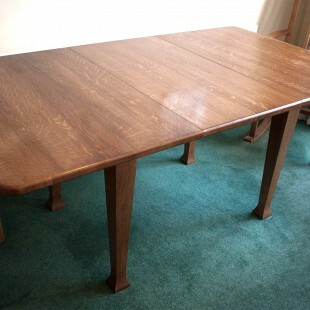 When oak is sawn this way it gives this incredible grain pattern. I used traditional, handcut dovetail joints on the drawers and curved the sides to give the dresser a slimmer look. 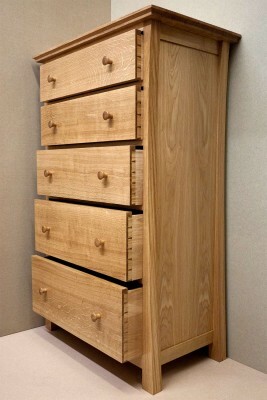 We could not have been more pleased with our bespoke chest of drawers. 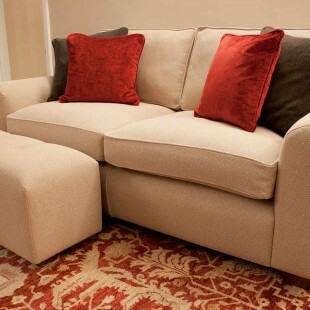 The attention to a detailed finish gave us a perfect piece of furniture.